OTL Blog » Blog Archive » Haunted Montreal announces season of Ghost Walks – now available in both English and French! 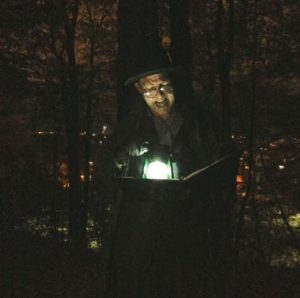 Haunted Montreal announces season of Ghost Walks – now available in both English and French! Haunted Montreal, a company that conducts Ghost Walks and carries out research into Montreal hauntings, is pleased to announce that it now offers tours in both English and French! For its 2016 public season, Ghost Walks will alternate between Griffintown and Mount Royal every Friday night, from June 3rd to October 7th. 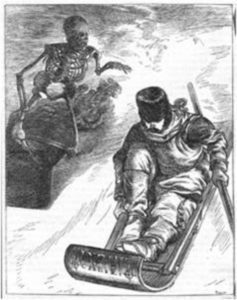 The company also produces the Haunted Montreal Blog, a publication that releases a new Montreal ghost story, in both languages, on the 13th of every month. The May edition looks at several reported hauntings inside the Théâtre du Nouveau Monde. This entry was posted on Tuesday, May 17th, 2016 at 9:39 am	and is filed under Uncategorized. You can follow any responses to this entry through the RSS 2.0 feed. You can leave a response, or trackback from your own site.